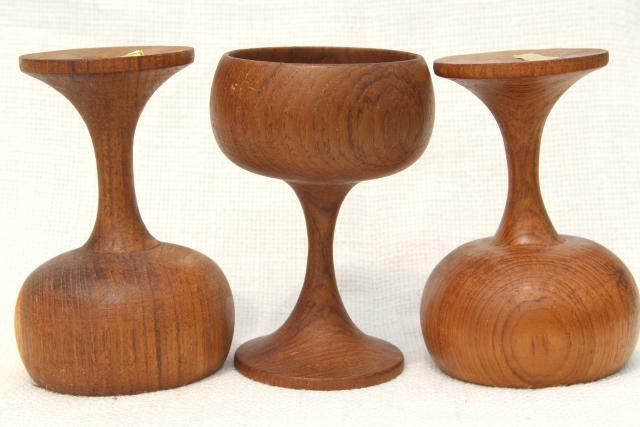 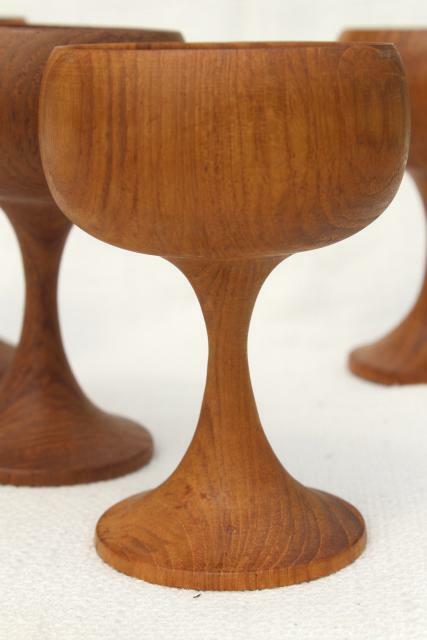 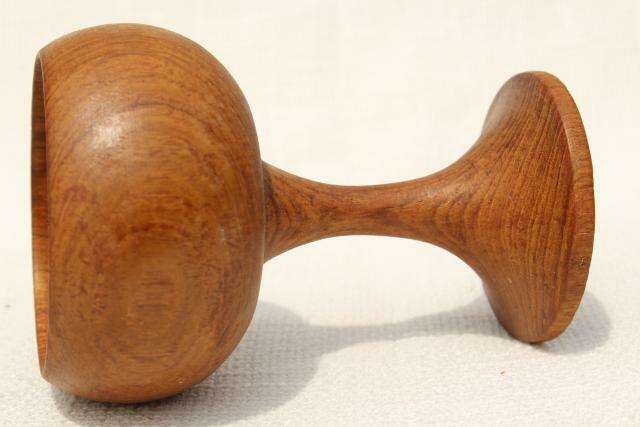 Four carved teak wood 'goblets' to hold candles, so retro! 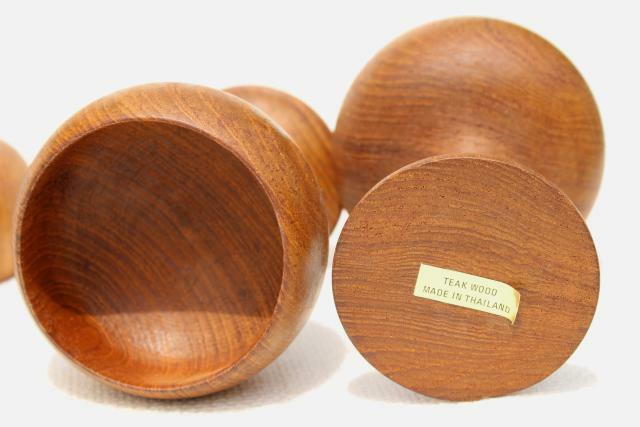 These are 60s or 70s vintage, made in Thailand. 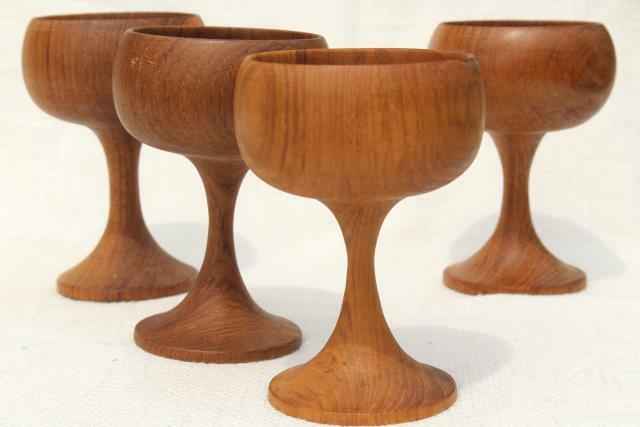 All four are in good clean condition with very little wear or scratching.